Corresponding author at: Rua Ouvidor Peleja, 235 ap 101, São Paulo, SP 04128000, Brazil. Hepatitis C virus infection is a major cause of cirrhosis; hepatocellular carcinoma; and liver transplantation. The aim of this study was to estimate hepatitis C virus disease progression and the burden of disease from a nationwide perspective. Using a model developed to forecast hepatitis C virus disease progression and the number of cases at each stage of liver disease; hepatitis C virus-infected population and associated disease progression in Brazil were quantified. The impact of two different strategies was compared: higher sustained virological response and treatment eligibility rates (1) or higher diagnosis and treatment rates associated with increased sustained virological response rates (2). The number of infected individuals is estimated to decline by 35% by 2030 (1,255,000 individuals); while the number of cases of compensated (n=325,900) and decompensated (n=45,000) cirrhosis; hepatocellular carcinoma (n=19,100); and liver-related deaths (n=16,700) is supposed to peak between 2028 and 2032. In strategy 2; treated cases increased over tenfold in 2020 (118,800 treated) as compared to 2013 (11,740 treated); with sustained virological response increased to 90% and treatment eligibility to 95%. Under this strategy; the number of infected individuals decreased by 90% between 2013 and 2030. Compared to the base case; liver-related deaths decreased by 70% by 2030; while hepatitis C virus-related liver cancer and decompensated cirrhosis decreased by 75 and 80%; respectively. While the incidence and prevalence of hepatitis C virus in Brazil are decreasing; cases of advanced liver disease continue to rise. Besides higher sustained virological response rates; new strategies focused on increasing the proportion of diagnosed patients and eligibility to treatment should be adopted in order to reduce the burden of hepatitis C virus infection in Brazil. In 2002, the Brazilian Ministry of Health created the Viral Hepatitis National Program with goals for reducing the incidence of viral hepatitis and improving the quality of life for infected individuals.6 Harm reduction measures aimed at reducing transmission among injecting drug users (IDU), along with universal precautions measures for preventing nosocomial transmission, improvement of diagnostic methods, and distribution of medications in all regions of the country were adopted, but were insufficient to decrease hepatitis C prevalence significantly. This observation is related to low rate of inclusion to treatment and a small chance to cure with interferon and ribavirine.4,5 The release of new direct-acting antiviral agents (DAA) with lower adverse event rates, broader eligibility criteria, and higher sustained virological response (SVR) rates have the potential to reduce the prevalence, and thereby reduce transmission and new HCV cases. Besides reducing new cases, SVR can prevent the evolution of already infected patients to cirrhosis, advanced liver disease, and cirrhosis decompensation, improving the quality of life for these individuals.7 However, how much these new treatment options will impact on HCV prevalence and burden in a nationwide perspective is unknown. 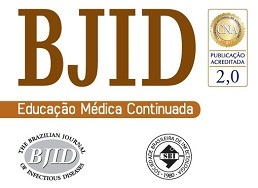 The objectives of this study were to describe the key data to build a statistical model for hepatitis C epidemiology in Brazil, to analyze the current and future importance of chronic HCV infection in the Brazilian population, and to simulate the impact of two possible future strategies to control hepatitis C in Brazil. Key parameters were gathered through a literature search: country population, seroprevalence, viremic infection prevalence, genotype distribution, total and annual cases diagnosed, annual number of patients treated, and total HCV liver transplants. When data were not available, expert consensus or expert opinions were used to create base case estimates. A modeling approach to describe the burden of chronic HCV infection in Brazil was used based in a previously described model.9 Briefly, a disease progression model was constructed in Microsoft Excel (Microsoft Corp., Redmond, WA) to quantify the size of the HCV-infected population by liver disease stages, from 1950 to 2030. Frontline Systems’ Solver, was used to calculate the number, age and gender distribution of annual acute infections. The model started with the annual number of acute infections that progressed to chronic HCV infection after accounting for spontaneous clearance of the virus. The progression of these new cases was followed along with all chronic infections from prior years. Then two strategies for addressing chronic HCV infection in Brazil and their effect on HCV-related morbidity and mortality were considered. In strategy 1, SVR rate increases in 2014 to 80% for genotypes 1, 2 and 4, and to 70% for genotype 3. Eligibility to treatment increases to 85% in individuals infected with genotypes 2 or 3. In 2016, medical eligibility was increased to 85% for all genotypes, and SVR to 85% for genotypes 1, 3 and 4, and 90% for genotype 2. In 2018, medical eligibility and SVR rates were increased to 95% for all genotypes. In strategy 2, the same treatment eligibility and SVR rates as strategy 1 were used. However, the annual number of diagnosed patients increases, in 2014, to 30,000 as compared to 10,000 in 2013, and the number of treated patients increases to 15,260 in 2014, as compared to 11,740 in 2013. In 2016, the annual number of newly diagnosed patients increased to 90,000, and the annual number of treated patients to 30,520. In addition, this model considers treating patients with any HCV genotype with a Metavir fibrosis score ≥F2. In 2018, the annual diagnosed population was set at 270,000, and annual treated population was set at 91,570. At this point all patients with a Metavir fibrosis score ≥F1 would be treated. In 2020, the parameters includes a total of 109,880 patients up to age 74 and any fibrosis stage (Metavir ≥F0) been treated annually. Anti-HCV prevalence according to age and gender, Brazil, 2007. In 2010, it is estimated that 11,750 patients were treated in Brazil. We used IMS Health data for standard units of peguilated interferon (Peg-IFN) sold in Brazil, with a multiplier to account for under-reporting.5 The Brazilian genotype distribution was used to estimate the average number of weeks of treatment per patient. After accounting for underreporting, we estimate that in 2010, over 372,000 units of Peg-IFN sold in Brazil. With 85% compliance/persistence, we estimate an average of 31.7 units and 39.6 weeks per patient. Based on expert consensus, the number of people living with a diagnosis of HCV chronic infection in 2013 in Brazil was estimated to be 300,000. Each year, it was estimated that 10,000 viremic individuals are newly diagnosed. Based on these inputs, the prevalence of HCV viremic individuals peaked in 1996 at 2,255,000, and a total of 1,938,700 were viremic in 2013. By 2030, it was estimated that will be over 1,255,000 viremic HCV infected individuals in Brazil, and over 16,600 HCV-related annual liver deaths. We estimate 45,000 cases of decompensated cirrhosis and 18,900 HCC cases by 2030. Approximately 35% of the infected population will be cirrhotic or have advanced liver disease (Fig. 2). Base case model outputs. (A) Total viremic cases, by age, 2013; (B) Annual mortality due to liver related and background cause, 2013–2030; (C) Number of viremic cases, in total, and by disease stage, 1950–2030; (D) Expanded graph of viremic cases by disease stage for cirrhosis, decompensated cirrhosis, and hepatocellular carcinoma, 1950–2030. As a result of strategy 1 (increase in SVR only), the total number of infected individuals would decline by 46,000 in 2030 as compared to the base case, a 3.7% reduction. In addition, cumulative HCV-related mortality would decrease by 7570 deaths (2.5%) during 2013–2030 as compared to the base case. Cases of HCV-related HCC and decompensated cirrhosis would decrease by 2290 cases (5.1%) and 6030 cases (3.2%) in 2030, respectively, as compared to the base case. Strategy 2: HCV elimination as a result of this strategy (increase in SVR associated with an increase in HCV diagnosed and treated individuals), the HCV infected population declines to 190,600 individuals by 2030, an 85% decrease as compared to the base case. Prevalent cases of decompensated cirrhosis and liver cancer in 2030 decrease, respectively, by 36,350 (81% decrease), and 13,810 (73% decrease) cases as compared to the base case. Finally, cumulative HCV-related mortality from 2013 to 2030 declines by 84,880 deaths, a 28% reduction as compared to the base case (Figs. 3 and 4). Background and liver related mortality projections under the base case and three strategies, 2013–2030. Total viremic cases and viremic cases by disease stage. Projections under the base case (A), and strategies 1 (B) and 2 (C) with estimates for cirrhosis, decompensated cirrhosis and HCC, 1950–2030. About 11,200 new HCV infections diagnosis occurred in Brazil in 2013. The viremic prevalence is estimated to have peaked in 1996 (2,255,000 individuals) and expected to decline by 45% in 2030 (1,255,000 individuals). However, the number of cases of compensated (325,900) and decompensated (45,000) cirrhosis, HCC (19,100), and liver-related deaths (16,700) will peak between 2028 and 2032. These projections can be worse if influenced by external factors, like public health system quality. Implementation of Strategy 1 resulted in a slow decrease in HCV-related morbidity and mortality in the future, without increasing the size of the diagnosed or treated population. However, the impact of Strategy 2 was much larger, showing that substantial increase in the annual treated and diagnosed populations is necessary to achieve elimination of chronic hepatitis C (<150,000 viremic cases). In strategy 2 simulation, the model considered an increase in treated cases over tenfold in 2020 (118,800) as compared to 2013 (11,740), an SVR increase to 90% and treatment eligibility to 95% (among 15–74 years with a fibrosis Metavir score ≥F1). Compared to the base case, this strategy decreased prevalent infections and decreased liver-related deaths. HCV-related liver cancer and decompensated cirrhosis also decreased. To avoid the consequences of hepatitis C burden along time, Brazil needs a public health program with planned, consistent and continued upgrade actions in next decades. It is necessary to increase the number of centers to take care of these patients, assign specifics tasks to primary, secondary and tertiary levels of health care, and a network with geographical distribution (reference/counter-reference system). The three levels of government (federal, provincial and municipal) must coordinate actions to increase identification and access of infected patients to treatment and care. The health care workers must be trained in a multiprofessional approach. The limitations of this study are mainly related to the unavailability of Brazilian data and the assumptions already presented. Some data from other countries were used for completion of the model. For example, the relative reduction in observed incidence was based on United States data.11 To minimize this weakness, once we have gathered all the available published data, a group of Brazilian experts was consulted for validation. L. Kikuchi, A.L. Chagas, R.S. Alencar, D.C. Paranagua-Vezozzo, F.J. Carrilho. Clinical and epidemiological aspects of hepatocellular carcinoma in Brazil. Compromisso com a qualidade hospitalar (CQH). Ano 23. Available from: http://www.cqh.org.br/?q=50-dos-transplantes-de-f%C3%ADgado-s%C3%A3o-decorrentes-de-hepatites [accessed 12.09.14]. L.M. Pereira, C.M. Martelli, R.C. Moreira, et al. Prevalence and risk factors of hepatitis C virus infection in Brazil, 2005 through 2009: a cross-sectional study. Ministério da Saúde, Brazil. Boletim Epidemiológico – Hepatites Virais, Ano III, number 1. Available from: http://www.aids.gov.br/sites/default/files/anexos/publicacao/2012/51820/boletim_epidemiol_gico_hepatites_virais_2012_ve_12026.pdf [accessed 08.09.14]. IMS. Available from: http://www.catalog.imshealth.com/ [accessed 23.01.11]. National STD/AIDs Programme, Federal Ministry of Health. Public sector integrity in Brazil. A.J. van der Meer, B.J. Veldt, J.J. Feld, et al. Association between sustained virological response and all-cause mortality among patients with chronic hepatitis C and advanced hepatic fibrosis. S. Deuffic-Burban, P. Deltenre, M. Buti, et al. Predicted effects of treatment for HCV infection vary among European countries. H. Razavi, I. Waked, C. Sarrazin, et al. The present and future disease burden of hepatitis C virus (HCV) infection with today's treatment paradigm. World Population Prospects: The 2010 Revision, Volume I and II: ComprehensiveTables.ST/ESA/SER.A/313. S. Campiotto, J.R. Pinho, F.J. Carrilho, et al. Geographic distribution of hepatitis C virus genotypes in Brazil. G.L. Davis, M.J. Alter, H. El-Serag, T. Poynard, L.W. Jennings. Aging of hepatitis C virus (HCV)-infected persons in the United States: a multiple cohort model of HCV prevalence and disease progression. United Nations – Department of Economic and Social Affairs. 2012 Revision of the World Population Prospects. Available from: http://esa.un.org/wpp/ [accessed 26.02.14]. A. Engstrom, C. Adamsson, P. Allebeck, U. Rydberg. Mortality in patients with substance abuse: a follow-up in Stockholm County, 1973–1984. M. Frischer, D. Goldberg, M. Rahman, L. Berney. Mortality and survival among a cohort of drug injectors in Glasgow, 1982–1994. M. Hickman, Z. Carnwath, P. Madden, et al. Drug-related mortality and fatal overdose risk: pilot cohort study of heroin users recruited from specialist drug treatment sites in London. E. Oppenheimer, C. Tobutt, C. Taylor, T. Andrew. Death and survival in a cohort of heroin addicts from London clinics: a 22-year follow-up study. C.A. Perucci, M. Davoli, E. Rapiti, D.D. Abeni, F. Forastiere. Mortality of intravenous drug users in Rome: a cohort study. M.A. Bjornaas, A.S. Bekken, A. Ojlert, et al. A 20-year prospective study of mortality and causes of death among hospitalized opioid addicts in Oslo. M. Kamper-Jorgensen, M. Ahlgren, K. Rostgaard, et al. M.W. Fried, M.L. Shiffman, K.R. Reddy. Peginterferon alfa-2a plus ribavirin for chronic hepatitis C virus infection. M.L. Shiffman, F. Suter, B.R. Bacon, et al. Peginterferon alfa-2 a and ribavirin for 16 or 24 weeks in HCV genotype 2 or 3.